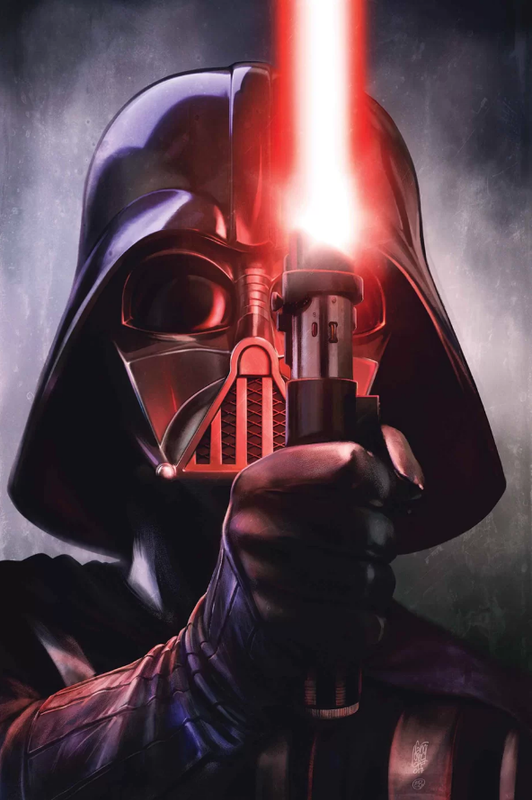 Darth Vader #12 deepens the plot as Vader investigates into who is trying to kill him. With the transition of power, not everyone is fully aware just who Darth Vader is. They also have no clue just how much trouble they are in. Upon returning to Coruscant, Vader is once again attacked. He wastes little time in conferring with Palpatine to make sure this isn’t some kind of test. With that out of the way, and with the Emperor’s permission to punish anyone other than Tarkin, Vader begins his hunt. This leads to some scenes of meditation where Vader grasps for clues via the Force. He holds a public execution to serve as an example, and perhaps an attempt to flush out the true perpetrators. But in the end, at least one of those responsible escapes Vader’s vengeance. On one hand, I like the idea of a Vader mystery story where he has to find out who in the officer corps has turned against him. On the other hand, I’m not sure how much impact this story is going to have. We all know Vader can’t die, thus the punch has to come in how close or how much damage they can do, or with who is behind it. So far the only clue is an Imperial officer missing several fingers. The artwork in this issue is pretty good. Some of it is actually quite great, but I’m not a fan of how Giuseppe draws Palpatine. Otherwise the visuals throughout the issue are very well done. From the backgrounds to the characters, there’s lot of detail, good color and lighting, and overall a great visual look. With good artwork and an interesting story, they only thing missing in this issue is impact. Hopefully that’s something the storyline can pay off on as the arc continues. As is, I give this one a four out of five metal bikinis.